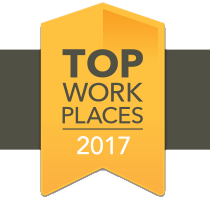 Home / Accomplishments, Press Releases / ActioNet Named Washington Post Top Workplaces 2017 – Fourth Year in a Row! 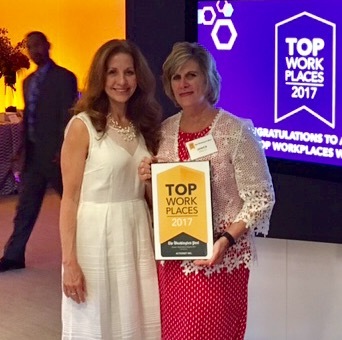 ActioNet Named Washington Post Top Workplaces 2017 – Fourth Year in a Row! ActioNet, Inc. is pleased to announced that it ranked 12 among Washington Post Top Workplaces 2017, with the highest ratings from their employees. A total of 150 Companies were honored and announced on Thursday, June 15 at The Washington Post Headquarters in Washington, DC. The 150 organizations that made the cut this year scored the highest all-around when their employees were surveyed. The Washington Post asked people to evaluate their employers on a host of factors, including the quality of leadership, pay and benefit practices, and work-life balance issues. “ActioNet’s success is fueled by our outstanding employees, who we fondly call ActioNeters. One of our Core Values is making our customers and each other successful. Our ActioNeters, who embody our Core Values, work hard every day to enable the Missions of our Customers. Our ActioNeters also fulfill an important part of our Mission in giving back to our community and helping others achieve their dreams,” said Jeffrey D. Abish, Executive Vice President and CIO.